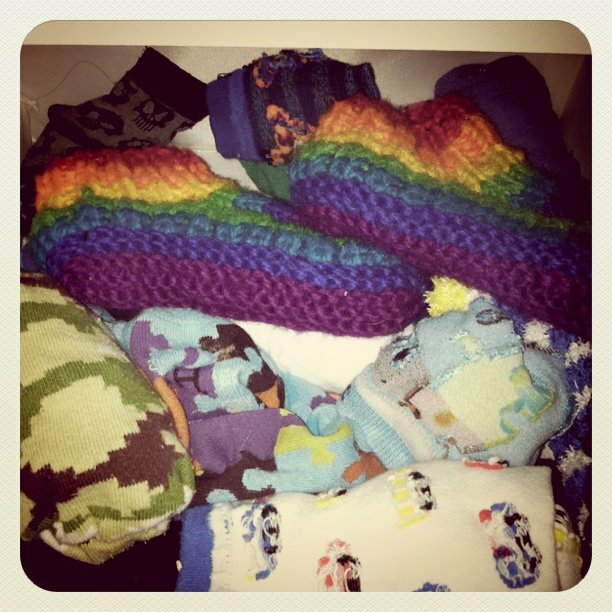 Yesterday I was organising munchkin's drawers ready for winter. I came across my favourite thing about the colder months. In this photo we have leggings, awesome RAINBOW shoes and socks. I love leggings. I love leggings for me and I love them for munchkin. Leggings means he can wear all his summer clothes with warmth. It saves money on all winter clothes and the bonus is leggings can also be armings (?!?!). Yep, they can be worn on your arms. Winner! What's your winter clothing secret? I'm playing the new, awesome game 'Push' over at Hello Owl. If you want to play along or see what all the fuss is about go here. Check out the rest of Hello Owl, Danielle is awesome!